Sports Terry Headband Wristbands Set. Sport headband and wristband sets get you ready to sweat toward your goal. These quality terry head band and wrist band sets stand up to anything you can dish out and keep on going. Constructed to feel as good as they look, and to work even better. 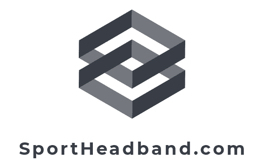 Sport Headband and wristband sets are made for each other to keep the sweat at bay so you can power though your work out or game. A ton of colors in both headbands and wristbands mean your possibilities are almost endless.